Keywords. This is a term that very few people truly understand and because of this I wanted to go into some detail and explain what a keyword is and why it is important to your business. Basically, a keyword is simply any "term" or "phrase" that someone types into Google when looking for something. This is the start of all SEO campaigns, paid ad campaigns, and ultimately if you understand keywords and how to find them, you are going to be VERY successful online. To follow through this training, you are going to need to access your Jaaxy account. This can be done easily through the side menu, under Research. As a Starter member, you get FREE access to Jaaxy Starter (30 free searches). As a Premium member, you get full unlimited access to the more powerful version of Jaaxy Lite (and discounts on the Pro and Enterprise versions). If you have any questions about any of the content within this video or need help coming up with keywords, do let me know and I will give you a hand. Alphabet Soup Technique - If you use this technique to come up with "keyword ideas" and then put them into Jaaxy or the keyword tool at WA, you are going to have unlimited keywords (regardless of the niche) at your disposal. I highly recommend you check out this video. I need help with which niche to write. 1. turn your passion to wealth. done research on google and jaaxy too. After reading your profile introduction, and seeing your passion for it, I would think that African hair styles would be an excellent niche. You are already trying to work it as a business and brand it. Starting a website would be a great idea. You will have competitors in any niche. Making money may actually be too competitive, especially for a first website. Would African Braiding be considered a more specific niche than African hair styles. You mention the braiding in your profile. Maybe that might help narrow things down a bit. You will mainly be learning how to pick specific phrases within your niche that are less competitive that you will be writing articles for each one. Attempting to get on Google first page for each different keyword is how your site as a whole will build authority in Google's eyes over a few months. Not knowing how you did your research to determine your overall niche competition, I'm not sure about the number you mention of over 30. That number doesn't seem too high for a niche or even a specific keyword. It seems fine. I'll be interested to see what other people advise on this. Maybe to help you narrow down your niche search, I would ask you these 2 questions. 1. Which one would you do even if you made no money from it? 2. Which one would you do if you knew you were going to be successful at it? Whatever one you answered maybe go for that one. I think the hair/Braiding niche will be the best as you already do it for fun. People need these lessons. You will do great when you do both write and video lessons and use YouTube. I learned how to braid my daughter's hair from YouTube. I also go there to find recommendations for conditioners, shampoos and texturizers. This is a really profitable industry. I am currently learning how to cornrow from YouTube too. I spend hours watching those videos to perfect my skills. Every time I watch tutorials, I watch ads too and I know the owner of this video makes money as I watch their videos. Thank you so much Denise! I also keep learning from YouTube. I usually try new styles on my daughter and friends. Am super excited now ! I have found 5 keywords in this niche then I can proceed to the next lessons. Big hugs! I started a few niches that I think I chose for wrong reasons when I started and eventually realized I just wasn't interested enough to bother. You will have competition regardless of which niche you choose. More important is to choose something that you have a passion about. You will be creating a lot of content, so you want to make sure you pick something that you won't get bored with. Great explanation again! I just made a list of keywords. This is a wonderful tool to use. The QSR didn't appear though, but when I clicked on "show QSR" I could see it. While looking at my keyword list I saw a button labeled "export". What is the function of that? Show QSR gives you the number. You have to do it manually with each one, unlike Kyle who has the upgrade "Enterprise" version of Jaaxy in the video. The "export" allows you to download a printable list of all your saved keywords. Oh boy, my head feels like it's a bit full at the moment. Until premium arrives, I feel I need to know what I'm doing before I use up my allotment of keyword search attempts. Still, with thought, things should kick off well....and thanx to Kyle. Look forward to meeting you. Thank you WA, again. Having these tutorials to review over and over.....as well as lots of practice and patience...., the sky is the limit. When my space is up, I look forward to giving out free readings to some of my new friends at WA. After watching the keyword video, i'm worried that the niche i picked is too popular. I chose baby products, specifically the ones that are used on a daily basis, like diapers, pacifiers, wipes, and so on, so how do I make that business unique? Finding keywords may be harder than I thought. you could go washable or recyclable or green - always good. Diapers, pacifiers, wipes, etc. Those could all be niches in themselves. Potty training is a huge niche. Baby feeding is a huge niche. etc. Narrow it down instead of targeting "baby products" target a specific category within this broader niche. Thanks Kyle, I surprised that I was actually able to find a bunch of keywords for diapers, wipes, carseats, and pacifiers. I was hesitant, but with Jaaxy I found a good amount of words under 100 qsr with good avg. the traffic was a bit low, but I think with more than one product that will up my chances of being successful. I am going to focus some on feeding and potty training also, but i'll get there soon enough. I'm starting my site from newborn and building it up as my own baby grows, it's almost like having a second baby, lol. Thanks for your help. Hey there, There are many different kinds of parents that take care of many different kinds of kids, The kids of course direct their care according to their needs. Kids on the Autistic spectrum.....Autism,ADHD, ADD, Aspergers,....etc....have parents who are dealing with western healthcare that has no clue really..
Big and growing population/traffic. Rates of Autism are growing fast each year. So many parents are taking matters into their own hands and I'm one of them. Perhaps u could look into products that address these kids needs. Like sensory needs...indoor trampoleens.....products free of chemicals,....u would need to research such products and get creative. Nutrition is big as well. This was completely new information to me. Now I see how including the right words in your content may attract more visitors. How important is it to include a target keyword in the title for your post? Is it a must? Or do I just need to make sure that the right keyword appears several times in the body of the text of my post? The simple answer is that it is a must for your SEO title. You can include other words to make it more catchy. But because you are new and you Domain Authority is probably v low, you really need to do everything you can to get noticed by google. I HAVE STRUGGLED with this whole idea of finding a niche and what to do once I have one! I have to tell everyone they should listen to what you said originally, not to spend to much time on this finding a niche. I just went through the training about JAAXY and all my frustration has just flown the coupe so to say. I can't waite to start working in it; however I am going to stay with the training now until it is complete as I don't think I will have any more problems. That's great to hear, Wayne. It is common to be a bit overwhelmed in the beginning. That's just a natural part of the learning process. However, it looks like you see now that once a lesson "clicks" in your head, it's really not so difficult. The key is to just not give up. Great to hear that you are following the training. I have found it to be great. I am also glad that you went premium and welcome you to the community. I wish you all the best here at WA and in 2019. Question: I have a link to Purple Widgets that are for sale on Amazon. Joe clicks on the Purple Widget link. Joe really wants Purple Widgets. The link takes Joe to Amazon. Now Joe is on his smartphone, Joe gets frustrated because Amazon won't add Purple Widgets to his cart since Joe is not logged in on the smartphone browser. So Joe opens his Amazon app, finds the item, and buys it. Do I still get the commission? Alternate version: Joe is shopping on his PC. He clicks on my Purple Widget link and adds the Widgets to his basket. But ah ha! Joe is a good samaritan and uses Amazon Smile so that a percentage gets donated to his favorite non profit: Save the Widgets! He logs into Amazon Smile, which thankfully remembered to leave Purple Widgets in his cart, and buys it there. Do I still get the commission? i think the smile does - especially if he adds it to his cart before changing to smile. you then have a 30 day cookie rather than 24 hour!! don't know about the smartphone, but i suspect not. have you researched amazon for this? 1) why in the video I see the QSR index of all the keywords, while in my Jaaxy account when I do a research I have to "get the SQR" manually for every keyword? 1) Kyle has an Enterprise edition to Jaaxy, where as we have the Lite edition which requires us to manually reveal to QSR. You can always upgrade at a cost, but I think to begin with, Lite is more than adequate. 2) As time goes on, you're going to need considerably more than 5 anyway, if you're writing lots of content. I just think for that particular module, Kyle may have been setting bitesized tasks to get people used to the concept. I got to the end of Level 1 and now have a question. If I don't upgrade to Premium, am I completely on my own to finish my website. I still need to add contact as per the keywords I chose and do whatever is still required to make my website more attractive and user friendly. You're only on your own in terms of the training and community support. You can continue to have and work on your site as you see fit. Having said that, however, I think you have to upgrade to be able to have your own domain name and not the .siterubix one. For what it's worth, I've only been here a short time, and have had several sites in the past through other hosting companies. With the training, community support, and the fact that I can have up to 25 independent domain sites for the same $49 fee, I personally feel it's the best all around deal in the business. Please tell me (you don't have to if you prefer not to), how long did it take you to start earning a decent income through WA? Decent meaning supporting a family. My challenge right now is my existing circumstances. I currently am not working so I need to be extremely careful with the finance available. I completely understand. 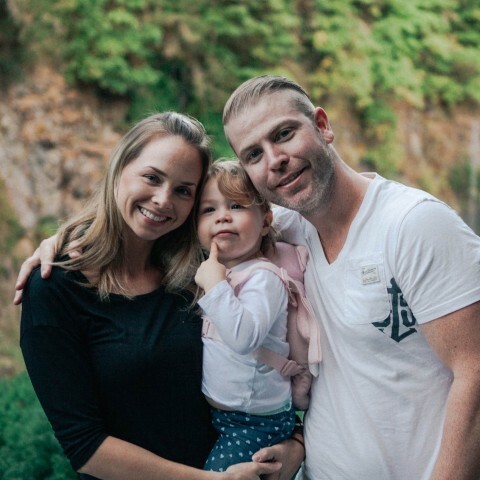 And as much as I am an advocate for an internet business -- and Wealthy Affiliate specifically -- my wife and I have been scammed ourselves and we swore when we started all this that we would be 100% honest about it, warts and all. I would look at this the same way as you would if you were thinking of starting a business on your local street corner, investing in the stock market, or buying and selling real estate. All are viable. proven ways to make money, and are not "gambling" in the casino sense, but any financial adviser who's being honest will tell you you shouldn't do it unless you can afford to lose money, just in case, so you don't risk disaster. Starting an internet business is essentially the same, albeit much cheaper to get started. BUT... nothing is guaranteed with any business, including this one, so you shouldn't be risking your rent or grocery money; I'd hate to see you get into a bad situation. If your funds are tight, you can continue to work with the free siterubix site you already have and build on that for now. After the first week you will lose access to the training, but with a little effort on your part doing research (books, YouTube, etc.) you can learn enough to at least see what all is involved and help you decide if this is something you want to do long term. I was told that you can’t have to many keys imbedded into you meta descriptions. Now iv just read this and Kyle states that if you understand keywords you’ll be very successful online. Does that mean you can have more than 6-8 phrases filled within your meta descriptions or you just need to end up with different keywords after a while? Yeah that makes a lot more sense, thanks. I think it depends on the Jaaxy version that you're using. I'm using Jaaxy Pro myself currently. It's because you are using the free (Lite) version. In order for it to show automaticaly we have to go premium it seems . Good point, mine does that as well. Have to upcrade that later on then :) thanks! After wacthing the training video twice over now I believe I already know the answer to my question but wanted to put it out there to others for my own peace of mind and confirmation that I've understood correctly. When we're talking 'keywords' which are not only words but can be strung together phrases or titles, are these keywords going to exclusive to headings and titles within the website content that are searched for in a search engine? Or can they be written within a blog, article, post or page content and still be searched for? Is the idea to find decent, workable keywords and incorporate them into pages and posts but not exclusively a title or bold heading? 1) As a title. An article, post or page website content is created with the title or heading "Youth Basketball Training". 2) As featured content within the posts, pages or website content. The post could read, "There are many gyms and sports complexes in the area but only this one features youth basketball training and for a low cost"
I'm thinking it's both, the keywords can be mentioned anywhere within content and as title, heading or within content written and produced, it will be found under relevant search criteria by a user and a search engine. It is both. I use my keywords in my title, first and last 2 paragraphs of my content, in my SEO descriptions and, of course, the SEO keywords. This is what sets WA apart. How long was I in my old marketing research company and never once did Jaaxi come up. It was all a very time-consuming manual process that I never quite figured out. Great job on the video and great job setting up a program that is useful to beginners. I really like this tool (Jaaxy). It made researching keywords extremely simple. I basically began with the least niche terms I could think of (like, say, "cats", for example), knowing full well that, although the AVG would likely be through the roof, a word that generic would not meet the QSR. Then I would simply drill down from there. What was nice was that I discovered dozens of keywords that met all the suggested criteria but were terms that I had not thought of or considered. Moreover, I found several that I assumed would be bad because the language is so prevalent in my niche that I figured the QSR would be outrageous. Instead, I found the competition levels to be relatively low, meeting Kyle's criteria across the board. That was a pleasant surprise. I do have one question. What is the proverbial cut-off for QSR? What I mean is that I found a ton of keywords that had slightly higher QSR numbers than recommended—say in the 120-170 range—but had thousands of AVG searches. While obviously not my primary concern in the beginning, with that many searches going on would it make sense to hang on to that keyword and create something down the line? At what point does the QSR/AVG ratio simply not make sense for anything? Honestly? Understand very little about Jaaxy. I hope this will be later much detailed explained. Second impression : video is promotion for Premium membership. It is absolutely clear that here at WA you can do very little without Premium membership. So if you want to stay here and eventually make some success yearly membership is best solution. You highlighted a valid statement Darko. Definitely yearly subscription is the best option if one can afford it. Besides the savings, once you go on yearly basis, you need not worry about the monthly expenses on the subscription which will put you more focus on your site. Most Vides want you to be Premium. I only saw one I thought was boldly out right upsell. But they are a business, They are probably an LCC but could be a Corp. That being the case they will have a board of Directors to report to. This lawsuit was not good for their Income Forecasts and not only will they have to explain it, but they will have to modify their Business plan for this year to recover. So yes, that means towards the bottom line someone, somewhere is going to have to sell more. That's the nature of the business. They have a great platform for Us as Users and our job is to use that platform to learn to make our own money. Hello Kyle. I have found Jaaxy vey helpful, full of indications to the way forward. however, My QSR indicator does not signal automatically. I have to click to KQI for it to indicate. with a lot of search to make I think it is time consuming putting on those buttons each time. What should I do to have better results? Very interesting however it seems Jaaxy might not be relevant for researching Spanish keywords? SEO and QSR are missing for many of the results and the first one in the list is my keyword but the following suggestions all turn to English. You may find Spanish keyword tools that you could use by Google searching. WA is only in English at this point in time. But in your video you jumped to your premium account. So...if you don't have a Premium you stop here...can't go on. I've tried upgrading my Premium using CommonWealth credit card and its can't get through. Already talk to my bank...saying in order to make payments or receive money from you..i should give you my BSB number and account number!! Awe Man....I'm stuck. Can't get my Premium. Appreciate any help I can get from you guys. In the google search, the keyword are search within region, right? When I type keyword in the google search, the pages shows in the first page of google shows the regional pages. So, is Jaaxy also the same or Jaaxy keyword search globally? jaaxy searches through dot com from google and other search engines. 1. College students are looking to MAKE money, not spend it. Most won't have the money to go Premium. 2. College students are pretty busy - I couldn't imagine taking all the time it takes to master WA while still doing well in my classes. 3. College students want fast returns - this is a lot of work, at a cost, before you start making money. They can get paid in two weeks from Starbucks. I'm not saying it won't work, but want to make sure that you are prepared for the possible response. Hey there Merazmi! You might want to look at selling WA to everyone and not just college students. But if you wanted to just target students you could write blog posts about different aspects of college to get the traffic to your website! Then once you have college kids reading the articles you can have the affiliates for WA on your website! Does that help at all lol? Yes it help me to think better on what I should focus on... Just when thinking more and more on targetting those college kids makes me wonder, do they really need to make extra money when they can make a few buy doing part time jobs... hmm... should I focus other target? You'll just need to market it as a better way to make money than getting a part time job in the long term! Tell them that getting a side job is focusing on the short term, but they should be focusing on the long term! That is how I would go about it! Yeah I agree with you... thanks! Hi All, I just 'dipped' into Jaaxy and the QSR column is empty. but under the QKI column, it says 'Get QSR'. When I click on the 'Get QSR', it populates the column with a number. However, doing this for each keyword is time-consuming. In the video, the QSR numbers are already there. Any ideas where I might be going wrong? Hi, so what you're saying is that if there is a list of about 40 keywords, then I have to click 'Get QSR' for each one? Sure :) And when you realize that'd take you less than a minute it's not a big deal at all. Remember though there's no need to get the QSR for every single one. Just go for the ones that have the right traffic numbers, ones that make grammatical sense, and so forth. You can cherry pick through your list and pick the best ones. Clicking the Get QSR literally takes a fraction of a second. So basically with this right here, we figure out a list of keyword searches and once we have that list of keyword searches, do we put it in our posts, or could we put it in one big post? So in just a casual blog post or is there one post where all these terms can be put together? No, you take each keyword and make one post around that one keyword, and you do it dozens of times for your blog. One keyword per post, multiple keywords per site. Oh, I see, we start with one blog post centering around that key term, start off in small no competition areas to get the first results. Build it up as we go along and that is when the compound effect really starts kicking in. less competition with 7 visitors is better than tough competition who are going to get all the 5800 visitors and maybe squeeze you out entirely, that is why one is green for go and the other is red for good luck with that! I do not know how you can see that, but here is my take. The AVG column means people who search for this keyword. Traffic means the number of clicks on your site if you are on page number 1. So you might have this number of 5800, but you will be competing with everybody and his dog. Is the QSR under 300? The reason you don't want to target those high competition keyword is because in your niche if a keyword has 305000 searches I bet WebMD has a post targeting that keyword. The truth is small sites like us will never outrank a huge medical website so we want to target the keywords that have low competition. This is an amazing tool. Even the Lite version which comes free with Premium membership has so much functionality. It threw up far more than simply typing my selected phrases into Google and eased the worry I had about keyword scarcity. I can really see this pushing my business and my income forward and as I go on I can see myself upgrading too. True, its such a tremendous tool! Having the right keyword is of course very important for your website finding and improving your visibility, authority, traffic, conversions, etc. People are looking for something on the internet using keywords. We all know about it. But, finding the right keyword (the right one for your niche and your site) requires some basic (and if possible advanced, too) and simple understanding of the topic. Thanks for the easy to understand clarifications of the subject and for showing the easy-to-implement techniques and ways of finding the right keywords (and niches)! I can see how this can help in ones choice of content as well as choice of niche. once the niche is "niched" I still have to work at coming up with relevant content, which is where this keyword searching will be a big help. A little overwhelming at first, but not rocket science. Hi CiberTiger, yh you do have to press on the QSR each time to get it instant you hae to upgrade to the jaaxy enterprise. I don´t see mention of Jaaxy lite anywhere within Jaaxy. I am sure that it will only be shown once I have gotten my WA membership, but I am worried none the less. My logic is that Jaaxy doesn't advertise that feature, and only offers the package to Wealthy Affiliates. My continued concern stems from the fact that I do not see the option to connect my WA account to Jaaxy as shown in the video. Surely there are some updates that have effected the appearance and organization of these menus, but I want to be certain of the situation. I want to be sure that I will be getting the tools that I need. Finally, on a slightly separate note, is the Jaaxy lite package enough to build a profitable business? What would be the incentive, if any, to upgrade to pro, or enterprise? once you upgrade you will link your jaaxy account to jaaxy, either the free lite or pro or enterprise. Can you survive with lite - yes you can - it is a little restrictive but usable. as with all of these tools remember the data is only as good as the source. use it as a gauge not absolute. you do get all the tools you need to create an online business with your premium account except for a domain - you need to purchase that seperately at about $14 per year. If you are committed to making a go of an online business then yeah sign up for a month to make sure - and if you are then go yearly- shows committment. if you upgrade you do get slightly better package, is it worth it - to me not at the start - yes you will spend a little more time finding keywords and topics, but if you want to keep the price down then go with the lite and see how it goes. Don't forget once you go WA premium you cannot drop back to a free member on that account. I cannot go back to a fee account, okay. Even so, I would still have my domain correct? And I assume that would mean not having access to any of the tools (in house as well as wordpress and Jaaxy), correct? Thank you for clarifying all of that for me. Yeah, I´ve been thinking that the yearly investment will be worthwhile. After the first month, the price of 7 months would be worth an entire year. That investment would guarantee my persistence as well. Internal motivation is best, but a little external motivation can't hurt. if you stop paying you have 30 days to move your site to a new host and sort any problems out - otherwise youwould go though the course once - stop paying and get you hosting for free! that would be nice, but isn't going to happen. The price of the yearly does make sense - to me anyway, it works out to be almost half price as you say. This video was really great in explaining keywords, and in informing us how we should rank keywords based on the competition, and the amount of traffick etc. I feel that once I get actual content in my page, that I have a great chance at truly succeeding with my niche. I can't wait until my page is up and running, and generating an extra income for my family and I. I feel blessed to have found this program. I'm very interested in the relationship between the fine arts and the decorative arts -- specifically Art History (painting, sculpture, architecture), and Interior Design. I AM an interior designer, as well as an art and design historian. I've been DOING ALL and TEACHING ALL for a long time. And just from what I know of these scenes here in NYC, it has been an area of growing interest for the past several years. I would like to do a blog/ site devoted to this "unity of the arts." I think it's a good "niche," but would also allow me to branch out into other "niches" from there. Even thought of a good name for the site: Art and Design Redefined. However, there is nothing at all about this in Jaaxy key words. Fine arts, yes, tons; and interior design yes. But nothing about the two together -- which is what I expected. Should I go for it anyway? OR: just do Interior Design Redefined -- which suggests it's going to be a different take? OR: play it safe. And this domain name was available, so I bought it: InteriorDesignStylesDefined. com. And go from there? That IS a topic people would search. I think you should use the "phrases" exactly as you would type them in when you wanted to Google something, because that is exactly what the average person would do. Your idea is extremely specific as is my niche and therefore "most" folks aren't going to know the terminology that someone in your area of expertise would commonly use. I think the thing that will make you stand out is the Interior Design Redefined ! After all, that is what sets you apart from the competition! you want folks to visit you who are interested in such a combination I would think. Anyway, I am someone who will visit you as I have a love of decorative arts and with strong slant toward history! Fine art should be incorporated into every home to express one's own personality and taste! There, that would be a good idea for philosophy statement or blog...take it and go with it! Truly wishing you success, and lets stay in touch. I'm not on here very much as I have an actual physical farm to run, but I am very interested and would love to follow your progress and success! So, what REALLY MATTERS in terms of driving traffic to your site is the keywords you uses as titles of your posts and/or in that copy -- NOT necessarily your domain name or title of web site, correct? Obviously, they should be related, but it's the keywords in your posts that matter most, right? I'm asking because I don't want to get too caught up in finding the perfect words for title of the web site. It is my understanding that you build your content around the key words you choose. How close does the actual phrase in my post need to match the keyword phrase in Jaaxy for it to help my Google ranking? For example, if Jaaxy gives "definitive guide android" as a strong keyword, does the phrase in my post need to be identical, or could I get as good results with something like "...definitive guide to repairing an android"? Your guide in Jaaxy is QSR this refers to the number of competing website on Google for the exact keyword. So, if "definitive guide android" returns 50 QSR, that means the are 50 competing website on google for that exact term. QSR , relevancy of the keyword to your content, and it must make sense when you read it, are your guiding factors. Some keyword search terms don't make sense when you read them. Don't use them. Jaaxy is the only keyword tool to give the number of competing website for keywords, that is a huge advantage. This lesson is quite interesting. Initially I found it a bit complicated but after viewing the video several times and reading through the text I got the gist of it. However my question is...if after doing my research and I find the right keyword, how am I to use it in my post, am I to use it as the title of the post only or to populate the entire post with the keyword? Any assistance here would be appreciated please. Use it in the title or first few lines but don't populate. less competition, and thus giving you An advantage on the search engine. that domain. It's like reverse engineering.With less competition, you can get higher rankings, and more traffic. I hope this helps. I just can't say enough about this training since lesson 1. This is just awesome content. I have been in numerous of SEO trainings before, and nothing compares to the WA courses. It's frankly the first time that I am learning something so easy and straightforward to implement. Thanks again guys! That provides a lot of options for research. Once the list is built do you keep doing new searches usually or just work of the list you've created for a while? How often are we desirably wanting to add content - 1 a day, 1 every two days - for a brand new site? I'm just thinking of the time it may take to construct quality content. And, last question for now, do how quickly do you fill up the 25 list max or is that plenty for what we'll be doing? Thanks for the well explained content Kyle! 2 to 3 posts per week is generally recommended. Also, Jaaxy searches are now unlimited for the included version. Jaaxy is Now the Official Keyword Tool of Wealthy Affiliate! Thank you for the feedback David, much appreciated. This was a very good video. I understand how Jaaxy works from the video. But there is so much to learn from Jaaxy. I know I will review this lesson a bit more than the previous ones. I want to dig deeper into the 'keyword' process with Jaaxy and make sure I have a full understanding of how it works. I'm intrigued with Jaaxy. I'm not sure I agree with the concept of 'grammatically correct' keywords. Coming from my own experience as a consumer and search-engine-user, I frequently search for keywords by omitting needless words, even if it's not grammatically correct, exactly because they turn up broader results and wastes less time of my typing. Isn't that the definition of "Keyword", or am I missing something? I'm going to repost this on the lesson page. Course 1, Lesson 9. Its likely that many search a keyword that's not grammatically correct, so there's no argument there This lesson has to do with finding QUALITY keywords for your site. Keep in mind that your site is a representation of you, so the question then becomes, why would you want to have content on your site with grammatically incorrect keywords. Would that really make you look like an "authority" or an "expert"? I had a friend that used to say "good, better, best". There are a lot of things that we can do for our site that are good, others that are better, but in developing our site, we need to look at what is best. Hopefully, this clarifies it for you, David. Thanks. In that sense, you're 100% right. I would never think to publish grammatically incorrect content. I was referring to the target phrase, when searching for keywords, I noticed that sometimes the shortened phrases get a lot more avg. searches, even though it's not grammatically correct. However I guess the point here is, as you said, to find a target keyword that can be fully incorporated into the content, the URL, etc. which would mean it needs to be grammatically correct. That's a great tip, Walter! I didn't know that...thank you! Will the keyword tool be adequate to get me up and running until I have an income stream? The WA Keyword tool works just as well as Jaaxy. It just does not have the added features that Jaaxy provides like rank searching, brainstorming etc. As for the way they search keywords they both offer u the same results. So go ahead and use just the free tool. When your budget allows for it then go ahead and use Jaaxy. it does have some great additional tools than just keyword research. Like you I've recently paid for premium and had a look at Jaaxy. Depending upon a persons skill set in marketing it may not be necessary to buy a "professional key word research tool". For me I decided to start with going through the Affiliate Boot Camp and then work my way through the other lessons. In the meantime, there is a tool you can use within WA and other free tools online. I believe Google has one that can be useful. No doubt some of our resourceful members will be able to help you along with this. Q1.I cannot get into Jaaxy (tried about 20 times). So where do I go to start up WAs version, please? and how frequently per (say) 100 words, or 500 words of post? Keyword tool is located at the left side of the WA page under training. You will add the keywords in your post just like every other text. Continue your online training and you will see how to use it. I'm still confused about one thing, should the word or phrase we are choosing be common to people (i.e. people always think about searching and use it) or it should be special? For example, i used (smart objects) as an indication for retouching images while preserving the quality, so do i have to search about (smart objects) which doesn't make sense to most people or try to use something straight forward to what i actually mean! The easy way to explain it is by putting yourself in the shoes of your traffic. What keywords would someone oblivous to your content would have to type in for your website to show up? I'm not sure I understood well the process of making website content and choosing keywords. Should I first look for the low competition keywords and based on that choose the topic for my posts? Or vice versa? I write about something I think it's useful and then search for the keywords that will promote my post? Hi, everyone! i just watched the video, it has alot of great information! I just have a question. Lets say i found a excelent keyword!! How can i write a post, if i don' know that much about it. I imaging that whatever we write about the keyword it should be relevante. Or am i wrong? In the Kyle's lessons (Get Started Here) you will learn how to pick a niche ... and yes, selecting something you are passionate about IS recommended. You BET it WILL make writing posts much easier. Is it true that the Jaaxy subscription jumped from $19/month to $49/month? The latter seems steep if you have a new website. Yes, you can leverage some free searches, but it doesn't seem sustainable unless you're pulling in more revenue than the cost of hosting, membership, and a Jaaxy subscription. I'd be interested in hearing about others' experience with this. Yes it went up in September because they added huge functionality in Jaaxy for the ability to track your rankings in Google, Yahoo & Bing. We all had the opportunity to get grandfathered in to the lower rate before the rate changed. 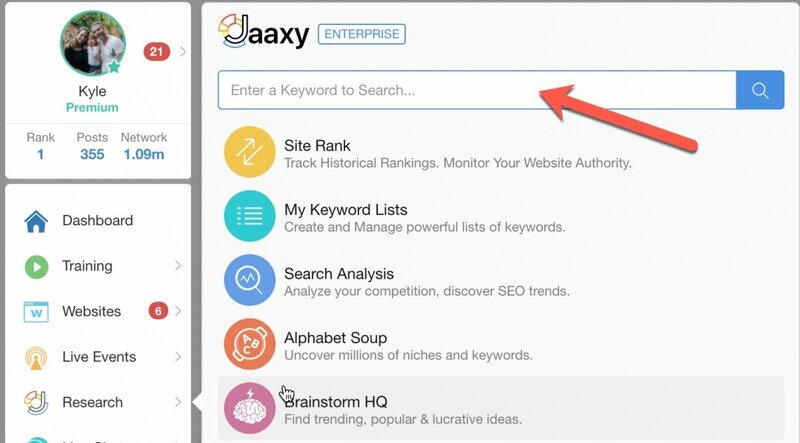 You don't need Jaaxy, the WA keyword search tool should suffice if you don't have the funds for it, but you just need to be more creative on your own to find more keywords. Jaaxy just makes it much easier to come up with more keywords as it has other abilities to dig deeper as well as it can go through the alphabet technique for you instead of you doing it manually. Hi all. I just went through Jaaxy and the Keyword Tool and have a great list of keywords related to my niche. I reviewed the video again and the Jaaxy tutorial, so apologies if I missed it, but are there keywords that are too long? In Kyle's example, he types in basketball skills and there are multiples keywords that are 2, 3 or 4 words long. When I type in keywords related to my niche, baby sleep training, a lot of the keywords are 4, 5, 6 + words long. Does that matter? Thanks! Long keywords are usually low hanging keywords and easy to get higher google rank. As long as there is a good amount of traffic, it can go long, however, I would say up to 5 or 6 words. I see a lot of people doing reviews on other marketing programs only to plug their own. For instance I will type in google Review on Techademics and it will bring up a blog review with the title "Is Techademics a Scam? or something similiar. Is this a good way to use keywords and blog or are these tactics too popular? It's a good question. I seem to recall that this was covered in one of the certification lessons, though I may have read it it someplace else maybe! In essence, it said that this use of approaching a review by focusing the keyword research on negative keywords or phrases, such as "XYZ... is it a scam" is a good way of generating good quality traffic as it's usually the first thing someone who has no idea of what their possibly letting themselves in for, searches for, and they look to seek reassurance before making a financial commitment. In fact, from memory, I think it was this exact technique that allowed me to find WA :-). So it clearly works! Is it overdone now? Possibly, though I guess it depends on what product or service you are looking to promote - some will have more competition than others I guess. Do what makes sense Jenny and these "tactics" are actually very commonly searched so do consider using them. From a marketer's point of view it might seem cray but for someone doing a natural search it will help them and that's what they need. That was a lot of great information, but a very quick run through. I can see the importance of Jaaxy, but definitely want to stick with the free trial first. Three questions regarding the Jaaxy free trial. 1. I typed in my keyword and I got a pop up box, covering the last 5 results that said 'Upgrade to Unlock Full Access', but I am not able to delete that box. Does that mean every time I do a search, I won't be able to see the last few results? 2. Under Domains, it reads Upgrade. I assume that means with the free trial, I can't see if that domain is available, correct? 3. I think I may have gotten a little confused with the 'Average' column. We want to target lower competition traffic, but Kyle mentioned that he aims for between 30 - 50 +. Is that the average we're looking for? I need further explanation here. 1.) You are correct, free Jaaxy accounts do not get to see the last 5 results. 3.) That is the average that Kyle explains that he has found works best. The following video tutorial may offer you further help: Using Jaaxy Like a Boss Hope this helps you. Hi, so I understood keyword search - finding out words which are key to building your blog. I needed to clarify one thing: So say I find keywords for example - "verticle basketball soles", "basketball skills and drills". So I have decided on 2 keywords. What am I supposed to do with the keywords now? - Do I write posts to hit those specific keywords? If yes, (a) how many posts per keyword (b) how many times is that keyword supposed to come in that post and if not - what am I to do with the keywords? After choosing keywords, you incorporate them into your content. Like say your "Vertical basketball soles" could be used as the title of your content, and then throw it in there again once in a while near the middle or so. You can use them how you like just remember not to overload on them. just checked out the Jaaxy site but it doesn't show .com or .org on the right side, as it did with your demo video. Is that because i am not a premium user at present ? My search showed some pretty good potential, if i am reading it correctly. Thank you for explaining, just was not sure because of the video i watched. Affiliate marketing is all about content and keyword research is a key strategy so establishing a habit is a great way to be thinking from the very beginning. An average number of articles to publish per week is 2-3, some people will do more, but consistency in key here. The average length, may depend on your niche to some extent but you will see in sitehealth that it tells us to aim for approx 1500 words, it can be more or less of course. What you say about allocating time for keyword research - well that is an excellent idea, you'll find some people are more organized than others when it comes to that. It also depends on the person and niche, you'll see some people going to keywords as an idea for their articles, and vice versa with other people knowing what they want to write then choosing the keywords. I went online to sign up for Jaxxy free account. It is very limited, though it may be sufficient for this training. I the long run, I expect that it is a must have tool. I attempted to upgrade, but the site required PayPal and I do not have PayPal. In signing up for PayPal, as I am sure you know, there are 3 offerings: Pro at $30.00 per month, Standard of Regular, and Express. Which one would you recommend that I sign up for now? @ajflower I have found the WA keyword tool to actually be better. Why spend the extra money if this tool comes with membership. Jaaxy is a wonderful tool. So is the keyword searcheck. Spent a lot of time this weekend with keywords. I love the dig feature in key word tool. I love Jaaxy having thegreen " great"! On a good key word search. Thank you! I had to use and view this portion over the weekend because I was stumped it was very helpful. I'm afraid the free trial doesn't show the full page of results, only the first 10 or so. ok thanks. It's enough anyway. I like it a lot. I would like to ask is't okay if the keywords quite long or better to have a short keywords? And second one when I checking for keywords in Jaaxy and I found the keyword with the value of QSR is 0. Is't very good to be ranked up in search engine? You definitely don't want really long keywords. Remember, you are trying to match things that people will type in search engines. I try and keep mine anywhere from 4 to 7 words in length. Having a QSR of 0 means that no one is competing for that specific keyword on the internet. This can be great, but only if it adds traffic to your website. When finding keywords, look for low QSR (under 100) with traffic. Thank you for the answer. I will try my best to find the best keyword. Jaaxy the lower the qsr the less competition . I would like to ask if anyone has been stumbling into this problem with the Jaaxy video that I just run into. Basically I watched 6 minutes and all of a sudden it stopped working with a message saying "The video could not be loaded, either because the server or network failed or because the format is not supported". Tried starting over the page, logging out and inn again but it still appears. Never had any problem with the earlier videos and it is a bit annoying being that this is a main importancy tutorial regarding "keywords". I spent last night trying to find great key words for my site. Unfortunately I used up almost 30 searches and was not successful. I found some with little competition but traffic are sometimes less than 10 and the ones with a little higher traffic have QSI that is high. What do you suggest since I've used up 29 searches in Jaaxy? Hi Lona, I would suggest using the WA Keyword tool, while not as fast as jaaxy, it is almost as efficient! The WA keyword tool here Is unlimited, but it is only available to premium members. yes i would use the wa keyword tool and the dig button at the end of each word. The video addressing Keyword Mastery was very beneficial and valuable because it provided clear direction on how to search for keywords/phrases that make sense. The video also explained the various column headings and their acronyms linked to a keyword/phrase search, which is extremely important. I liked the alphabet soup technique as well, considering it reveals additional keywords based on your search performed in Google, which you would copy/paste into the Jaaxy search window and search. 1. Ensure your keyword/phrase is low competition (QSR). 2. Ensure your keyword/phrase makes sense. 3. Ensure your keyword/phrase is getting traffic (Avg). This is a valuable video. Thank you Kyle. The video demo was good and made clear the process to search for keyword phrases. There has been a significant change in the visual appearance of jaxxy since the video was made but the tabs are all there, in the same location, it just looks different. However, when I did my first jaaxy search it was bogus. If this typical for the "free" version, jaxxy may as well not offer the free version. There are no results. You must pay to get any results. Which is not a issue but really jaxxy what a dishonest way to force the sales. This really is a reflection of the idea you can't get anything for free. In jaxxy, free gets you just what you paid, nothing. You're always free to use the Wealthy Affiliate Keyword Tool Bar on the left panel of your screen. Similar results, but no cost to you. I personally signed up for the paid version at Jaaxy for about $16 per month, and I find it very useful. You can save specific keywords, make lists, enact further research. I didn't see anything specifically sneaky in the video, it's just an older version of the site. I still find everything I need within today's version. Again though, the in-house keyword bar works just fine. If you're not interested in spending any money, it'll do you just fine. There is so much to learn. I'm just glad I can go back and forth to lessons. As a new member to this line of business, I feel like I'm in another world. I'm so grateful for all the help from the videos, posts, and comments from everyone. How many words is each post expected to be when creating the content? Would the system check for any grammatical errors? English is not my first language and I'm sure the content has to be at an acceptable standard of quality. How would I go around this? From what you wrote here, your English seems fine to me. :) Your writing doesn't have to be formal, it's just conversational just like the way you wrote that comment. How many words? As many as you can. :) Minimum 500 words but as you get better at writing, try for 1,000+. Trust me, the more you write, the better you'll get. I've seen huge improvements in my own writing and I can't even write under 1000 words if my life depended on me! You're just beginning so take your time and learn at your pace, you will find your rhythm and write even better as each month passes. Hi Connie, what Littlemama said is correct. You are doing a very fine job with your English! Thank you so much for your reply. That's motivating. Thank you, I feel motivated. Everyone is so helpful. The WA keyword tool looks almost the same as the Jaaxy tool except it doesn't have a KQI and SEO results, but it has 'PPC' and 'Article Power', whatever that means, I havn't gotten to that yet. But wouldn't we just be able to use that instead of getting a Jaaxy Membership? I don't really see much difference between the 2? The WA keyword tool works fine. U are right, they both give very similar results. Jaaxy does have more features to use though if u want them. But as far as keywords go they are both the same pretty much. I use the WA keyword tool all the time. btw - PPC means Pay Per Click and Article power is the level of competition for that keyword. U want an article power of 8 or above generally. Thank you for your thoughtful and thorough reply!!! Please let me know If I may ever be able to help you out in any way, like niche or website feedback. I used the free keyword tool here for about a month, when I switched to Jaaxy, it just made my daily tasks so much easier and I started to understand how to target keywords better. The thing I like about Jaaxy is that I can check my keyword competition, brainstorm for different content ideas, store my keywords, and check my post rankings. This way I can track my traffic and if I need to improve upon a post or get more comments on it, I can control it's rankings better. I go with Jaaxy yearly, so it's like 50 cents/day. If you are thinking of using it at all, you've got a few weeks to get grandfathered into the old pricing structure. They did a bunch of upgrades and are increasing it's price, but it's still cheaper than any other keyword tool out there and works great. I use 5 tools to run my online business. WA, Jaaxy, Aweber, Lead Pages, and writers. I do all the seo and manage the site and it's a pretty efficient system. Oh I better get on that before they raise their rates. Thanks for the great info! So I did numerous keyword searchers, all that qualify for 100+ hits/month, QSR<200, and with a good SEO rating. Before moving on to Lesson 8, where should I focus? Should I create multiple webpage tabs (one for each subcategory) and use my top 3 keywords for each tab, or do I focus on just one specific and build my page around that? You try to use a single, relevant but different keyword for every page and post you create for your site. You put it in the title and first paragraph and write naturally around it. For example, one of your keywords for an orchid site might be "prune orchids", so for one post the title might be "How to prune orchids" and the first para might contain, "The best way to prune orchids is...". That's it! Thanks, Rich! I think I can work with this, especially if I can find a way to integrate fun and engaging content on the side. Like Kyle said, if I just act solely as a storefront, nobody will engage with my site! If u have a Google account u can use Google Adwords Keyword Tool, it is free. U can find it at https://adwords.google.com. Just look under the tools menu for Keyword Planner once u have logged in. This is probably a silly question but I just want to make sure. If I write a Jaaxy review on my site and add a link to this video, I don't get affiliate credit with Jaaxy if the person watches the video and clicks on the link under it to sign up, do I? U can create a link below the video with your Jaaxy affiliate link for them to sign up. U get the link in Jaaxy under the Affiliate Program tab. This way u will get the commission. I was doing key word search, forgot where I was, went to search history to review the mistake I made, in the searches I did in review it starting counting down and losing my free search, I had use 9 but in the review I lost 9 more, oh well my mistake, live and learn. Howard, 11:10pm after working my part time job, Iam on this site to learn! Not giving up! 1. Do people really search things like "10 foods to eat to lose belly fat"? With a specific # like that? 2. The Jaaxy results were almost all green. Is that the reality of things? 3. Many in Jaaxy list ARE grammatically incorrect. Why is that if Google won't rank page that is incorrect? 4. I did my 1st Jaaxy search and everyting past 15 calls for an upgrade. Seems strange when the whole purpose of this training is to get experience using the tool, and now I'm limited. Kind of an "upsell" right off the bat. 1 people do search for some weird things you can also type a term in to google and see the results,take note of the number of sites that gives you a strong idea. 2. Well you get what you pay for really and the idea i think is to find the lower competition key words. as for being grammatically correct you some times need to tweek the terms to suit. 3.I have found that google ranks things that are incorrect but notice the correct suggestions are next to the wrong ones. 4. Again you wont find anything like jaxxy for accuracy and over the long term you want to get get ranked for the lowest competition keywords to get more free traffic. Hey Haakim... thanks for taking the time and for the input. How's it going with you in the world of online marketing? You got a site I can check out? Hello, I just want to hear success story from you guys! I need real facts, proof, reason as to why I should. Any help, feedback I appreciate. Before I give my succes story I need to know a few things to see if W,A suits your needs. Do you want to share knowledge, exhibit technique, or share your story? Then W.A is the place for YOU! You get out what you put in whatever you do as Im sure you are aware as a skilled fighter! I hope this reaches you. Fact: I have been wanting to work from home since 2012 and program after program I partook nothing transpired and here's why! They just give you downloads to read or a coach who doesn't respond to emails or calls. Here in the community there are a WAve of people to help you one your way. They have a proven plan laid out step by step ANYONE can follow. Assuming they are mentally capable. I have created 2 premium websites and got more organized in my life because of these steps. What makes it even better is they offer ranking perks so there is incentive to keep working even when you don't want to! That's only if YOU want it! Can you show me your blog/niche/affiliate site plz. Ok, so I am trying to complete my task of 10 searches. As I was reading, it stated I would need a free trial account in order to complete the task. I have signed up for the free account but I don't see an area to start a free trial. once you sign up your jaaxy free trial begins! Since keywords are so important to getting traffic. i don't want to get this wrong. Please bear with me. I'm a little confused with the total amount of key words needed and how they are used. How many keywords is enough? 500, 1,000. 10.000? Let's say i come up with 500 keywords/keyword phrases that meet the competition and search criteria in Jaaxy, Do I write 500 articles/posts using one keyword per article/post? Or, do i take 10-15 of the keywords/phrases and try to write an article/post containing all of them? Roughly how many keywords should you use per sentence, paragraph, page, or post? Is there a certain percentage of recommended keywords based on the size of the post or article? Are you penalized for over doing your keywords? This question has a whole lesson in keywords by itself so let me answer a couple of these butnot all of them. You do not need that many keywords but whatever your keywords for that post you use as you write the content. Your keywords need to be related to your niche. You would have Basketball goals as a keyword or post on a blog about car repair. The latest I have been hearing is that keywords have to flow naturally in the content and not to be stuffed in there just to get ranking. Are you penalized for over doing your keywords which is called keyword stuffing. Yes. But you have to work at it to over do it. As long as the keywords are added as a natural flow of the content you will be okay. Hope this helps on some of the questions. I may be jumping the gun here but here is my question? How does all this fit in with my niche. I am selling clothing, specifically black dresses formally and casual. I get that if I were writing specific blogs with information for my customers to take but I am hoping to get an affiliate to sell merchandise. Is the keyword phrases still important? Keywords are extremely important and very powerful in terms of having search engines find you. e.g: Formal black dresses (is a potential keyword that you can go after and bring potential people to your site). The more people who visit your site = many potential sales. Targeted keywords can lead to improving your site ranking. And who does not want that? I just finished my Jaaxy lesson, although it provides good keywords i think is a weak tool in providing keywords for searches made in a specific language and not English. This is not very helpful considering if i want to build a website in a specific language, let's say Romanian. I just read a comment about domains that got me thinking... When I became premium member, I chose to own my own domain instead of a free website. But I have not been prompted to pay anything and my current website (although its still a blank canvas for now) has the site.rubix at the end of it. Will I be prompted to purchase a domain or do I need to take the initiative to do that myself? When you created your website you could choose between a siterubix or your own domain, so you choose a siterubix, right? Any way you can create your own website anytime, you just have to go to Siterubix, Site Domains and create your website. So many 'key' pieces of information. I typed 'Moroccan' as 'Morrocan, to see the point made by Kyle on grammer. I found plenty of sites with the incorrect version. As a customer, when I see something spelt like that, I shy away, and lose confidence in the site and product. This video reminded me of the important details required to present a professional website. Very useful information but no surprise there. I'll be honest though, I am so glad there is a Keyword search within Wealthy Affiliate. I understand it may not be as powerful as Jaaxy but I did freak out a little bit thinking to myself " oh no more stuff to buy". I will definitely look into becoming a member of Jaaxy as I gain revenue but I'll stick to the basics for now! Hi everyone I'm new to this and am feeling a tad overwhelmed at the moment. I have enjoyed the training heaps but have found in this video that I have had to pause so often to try to get info into my head......can't wait to put it into action though. Hopefully I am not the only person who feels a bit crazy right now ??? Also mother of two young men... I first used the WA keyword tool to practice and figure out what all the numers mean then I use Jaaxy to give more details or to fine tune them...I do this because of the limit on the number of checks Jaaxy gives when it's free...I know sometimes it feels like information overload...sometimes you have to step away for a bit..go for a walk and get back to it. All the best on your journey! Thanks heaps for replying and yes I have stepped away and ready to get back into it, feeling excited ! I find I don't feel like I have to pause it so much.the second time around. Just a question as I'm new to this. I just want to know I am understanding this correctly. I would add the keyword i decide to use to my site description on the SEO plug-in? You need to write post or create page and use keywords in the text and after put keywords after post (SEO plugin will ask for title, description and keywords (depending on what plugin you use). Yes, Jeannel, before you write any post or pages you must have a description of what your site is all about. For example, if you wanted to be a referral site for WA, one choice of keywords for your site would be "work from home", or "making passive income". Once you plug in your site's keyword, THIS becomes the 'niche' that your site is about. All other blog posts or pages will now elaborate more on this niche. Good question, I hope this helps. I have problems finding good keywords. After 11 searches I could not find anything with low competition AND good traffic. But I don't think that my niche is that bad. It is about sustainable gifts. Is it possible that Jaaxy doesn't work that well with keywords that are not in English? As my mother tongue is German I will also write in German and therefore search for German keywords. I really can't believe that there is so much competition altough nobody is interested in that topic? Do you think I should look for another niche? Or do you know another keyword tool I could use? I thought Google has a tool like that aswell? Thanks for your help, I am a little desperate right now. I see you are a new member to WA. Welcome!! I had the same problem in that I couldn't find anything with low competition AND good traffic for my niche - I had to do a lot of thinking outside of the box - I don't think you should look for another niche if this is your passion - I kept with my niche and made a recent sale. Maybe you could use Google Translate to translate your keywords from German to English, then plug the English equivalent into Jaaxy. Will that work for you? Wishing you much success with your online business. You're welcome. Keep at it and you'll start to see results. okay, this was a great video, but I do have a question and it might seem really dumb, but I will ask anyhow. So, you find all these amazing keywords and then you choose some (also, how to chose from so many options? haha). What do you do with them? Do you write blog pages in your website with these exact keywords? Will this show up in google then? Yeah I think so, though you could get ranked in Google even if your content doesn't have the exact keyword but similar in meaning. Keyword stuffing in writing pages is actually not the best way to be recognized by Google since they rate for quality of content too. Good day to you Mariana, you asked a good question. Finding good keywords: 1. You enter keyword choices what you think other people would enter into the search box. 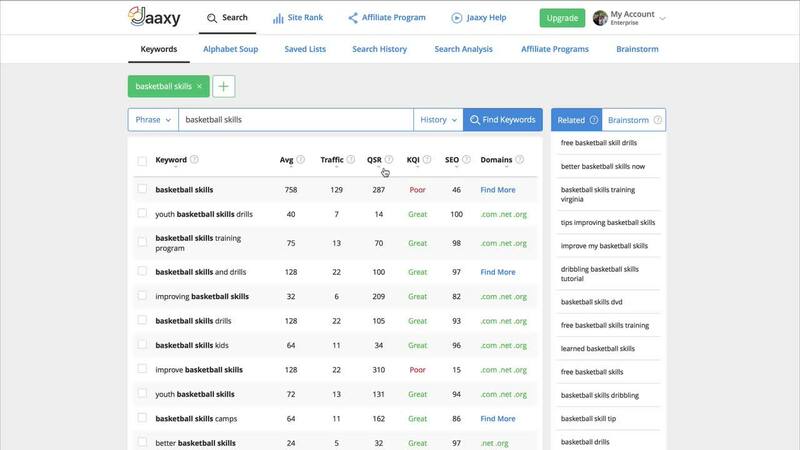 Then the keyword tool displays the search volume, the amount of traffic searching with that term, and the number of competing websites for each keyword phrase. You must select the best keyword phrase from all the choices the keyword tool displayed. Sounds difficult right? Actually, it is a numbers game. 2. What you are looking for is a keyword phrase that has a high number of searches but very little competition. Once you have selected the best choice, then yes, you write an article with the keyword phrase as your subject. 3. As you probably already know the search engines, Google, Bing, Yahoo, find websites by matching the search term with the closest matching websites. If your website uses the exact search term as the title of an article that someone searched for, then your website article ranks as number 1, 2, etc in the SERPS (search engine results page). Your post on Key Words was very instructive. I now have a better, clearer, understanding of what I need to accomplish with keyword searches. Thanks so much! You are very welcome Yvonne. Keywords are the foundation to acquiring more traffic. Reading these other posts and read a few that really made sense. Use Google Instant First, then the Keyword tool on WA. Doing this seems to be a way of using your 30 Jaaxy searches more effectively. I wasted 3 before it started to click then came here to see others comments. Good information...but I think SEO can be more complicated as the Search Engine algorithms have frequent updates not to mention the time it will take to create valuable content. My question is wouldn't it be a better use of time to learn paid traffic strategies so you can have instant traffic instead of waiting for months to see if your sites will make it to page 1? Hi Kyle, guess you may be already aware but Jaaxy make it very hard to use if you do not upgrade not displaying the info and not allowing access to most of the results which forces you to make more searches, very different from how you were able to use it in the training video. The Jaaxy demo shows how you COULD use it. You already have a perfectly functional free keyword tool here at WA. Jaaxy is simply an alternative you may want to consider if you need more punch. WA Keyword Tool - The Best Free Keyword Research Tool As for burning up your free Jaaxy searches, that's because you are using it not the way you were instructed. Jaaxy is NOT a search tool. It is a RE-Search tool. Avoid Jaaxy! Yes, found that out now, just thought our run through Jaaxy was going to be a bit more than a demo. I have found a traing module on WA for their Keyword tool so will be going there next. I'm ashamed to admit it but I've never actually used the WA keyword tool. I met Jaaxy after several years with Noble Samurai - a brilliant tool but seriously OTT. Jaaxy was SO much simpler I bought it in a heartbeat and never looked back. First - Google Instant. Then the tools. Thank you, useful but confused on one point. The free site I created during first week of membership was before this lesson. Have chosen title for website. If I choose to purchase domain would I have to stick to exact wording of title as in free website, or could I amend. Just mindful of Kyle's instruction regarding being grammatically correct. Not sure my website title is. Dose this matter or is it more important that any content created is grammatically correct eg full sentences! Not sure why keyword teaching comes after we choose a website name and not before! Sure I am missing something here! That`s really useful information Chris. Thank you! I agree with you about this, I wish I saw this video before I made up my mind about the name of the website. I think part of it is to encourage you to choose a niche you are interested in rather than choose something that has low competition. As far as the name of the website, I believe you cannot change it, as in the URL. You do get two free websites in case you would like to create a new one. I wouldn't worry so much about the name of your website as much as the content of the website. That's what is really important in search results. Wow this video is awesome. Keyword research is the lifeblood of your business since it generates traffic. Without completing this step one would be spinning their wheels taking shots in the dark at best when it comes to coming up with viable keywords for your website. Great job Kyle for this lesson! So these keyword/phrases that we find that have a low QSR and high SEO rating, are we then trying to include them in what we write on our pages/posts? Do we add these keywords in our SEO settings for rankings?? not sure what to do with killer keywords/phrases once they are narrowed down..
You'd use them to focus your posts and pages on. For instance when you generate these keywords you'd want someone to find your blog post or page on your website when someone enters that keyword phrase which will target your post or page. That said, you want to mention that keyword in your post or on your page a few times without stuffing the page with the keyword making it sound unnatural. Google used to slap people for keyword stuffing. Search for this term and you'll understand what I mean. Hope this helps! So on using keywords, I think I understand the basics. It's the words that are typed into google, it displays how many times someone clicks on something that has those words in a specific order, as well as the competition among marketers or websites that use that specific pattern of keywords. So lets say I used some type of keyword tool, would it serve to my advantage was named after a based set of keywords of my choice? Or does it not matter to much when it comes to website names? Do these keywords make for good post titles? Not sure of the quality of your question but I believe you want to know if it makes good sense to use the keywords as post titles. If that's true, then you could definitely do that but the whole post would have to be relevant to that keyword phrase. You don't have to always title your posts using the keywords but definitely tag the posts with the keywords and have the title reflect the phrase in some kind of way if you don't use it for the title. Your content must be relevant to that keyword and you should use the keyword in your post or page two to three times MAX which would highly optimize it but do not stuff the keyword in the post beyond that because Google spiders will recognize what you're doing and you may be penalized for keyword stuffing. Just use the keyword a few times and let your content flow naturally by strategically sprinkling the keyword throughout the post. Keep in mind the length of the post or page content will also determine how many times you can safely use the keyword in it. If you use the keyword more than three times in a post it may look suspicious because relevant content will do the trick just the same. Hope this helps! I love the keyword tool. Really helps to give insight. Normally I just google something, pick the first few websites then "view page source" to see what their keywords are that are ranking them on first page. But this really helps to streamline the keywords and as it says on the one tool "dig" to find the best for your content. This Video was very helpful. Especially to those of us to have the ambision and the desire to try something new, but just don't have enough knowledge to complete these tasks on our own without a little help. I have always been a quich learner when it comes to a visual experience and that is exactly what you have created here by having the videos that show people exactly what to do. I look forward to learning more. My Jaaxy account is started and I am on my way. My question at this poinmt so I know in advance is.... Should I create a pay pal account? WIll they send a check? I don't currently have a bank account. I use prepaid credit cards for my online transactions. WIll this affect the outcome of my success? Thank you for this awesome oppertunity to learn about how this works with the 7 day free membership that gives me time to make sure all my ducks are inline before launching into the pond. To any of the new affiliates having problems or getting discouraged in regards to keywords and keyword searches, I have created a blog on my profile page that may assist you in trying to find the right keywords that work well for your site.... Please check it out when you get a chance, and post a comment or let me know what you think... I believe it may help out some of you that might seem to be stuck on finding the right keywords... Struggling with Keywords? Thanks for the teachings, the video was very helpful. I need clarifications please?????? 3. What is PPC power. The answer below is what I would have advised you to do...did this answer your question? This post about covers the topic on how to get Google results to show what Jaaxy and the WA Keyword Tool do for you. I viewed the video and registered for the free Jaxxy account. I think I may have a good niche because every search I did had a green KQI indicator, low competition (they range from 0 to 110) and high SEO numbers (85 and above). The big issue is, on the whole, the amount of traffic in my searches is very low also. Should I be concerned or am I breaking new ground here? Your comment eases my concerns. This is a very informative video. I admit that I will need to watch it once more, and practice a little. I do think I will watch it earlier in the morning so that my mind is fresh, and retention a great deal more possible lol! Over all I can see how this is a vary valuable tool. Implementing this tool increases our chances tremendously in gaining more traffic. Thanks Kyle!